Q. What can I search for? 1. Choose the right Product Group on the upper side. 2. Choose your conditions in the three boxes. 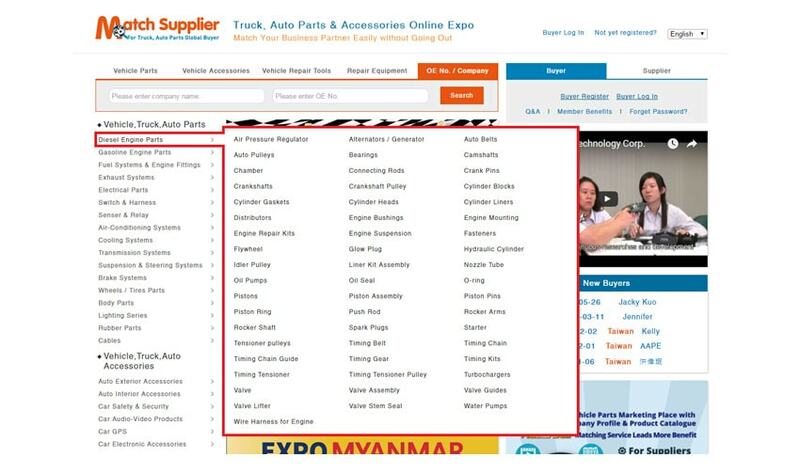 B.If you want to find suppliers that you have already known their company names, please click Company Search on the Searching Bar. 1. Click on OE No. / Company. 2. Enter the company name in the left box. C. If you wish to browse a range of products, please use the category on the left hand side of the homepage. Q. How is information catalogued in Match Supplier? A. Our information on products and suppliers are organized into product categories. A broadly defined category contains more specific groups, which in turn contain specific items. Q. How do I sort products or suppliers? A. There is a Save bottom on the search results page. You can save suppliers and sort them by any categories you add into your Saved Suppliers. Q. How do I filter products or suppliers? A. 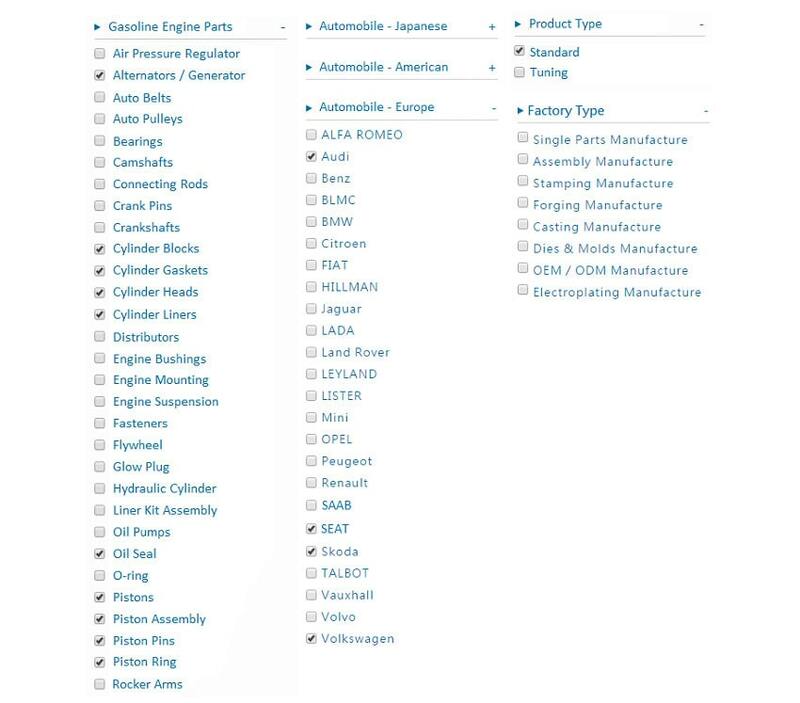 You can filter your search results through the filter on the left hand side of searching results page by product name, vehicle type, car series, car brands, and factory type of suppliers. Q. What is "Save Suppliers"? A. “Save Suppliers” means that you are interested in the suppliers, but you are not going to contact them now due to some reasons. You can contact them anytime unless the suppliers delete their accounts.